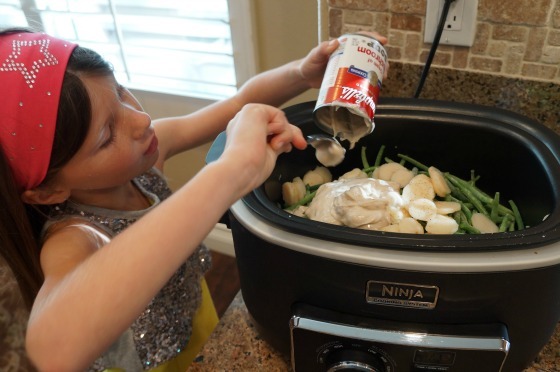 I can't express enough how easy Thanksgiving dinner was to prepare by using slow cookers. I was able to relax and enjoy time with my friends and family without a lot of time in the kitchen. 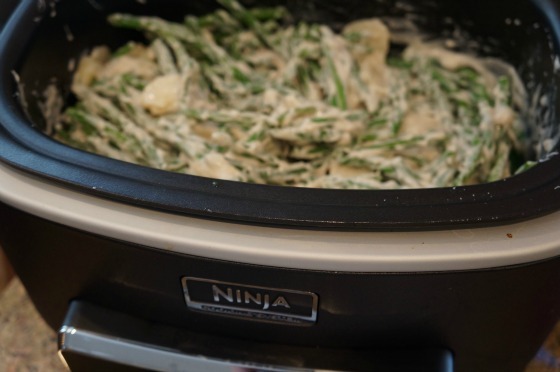 I finished up my recipes by making a green bean casserole in my new favorite slow cooker - the Ninja! The recipe was so easy that Ella was able to prepare the entire dish. She simply added all the ingredients (and 1/2 of the onions). Cooked on low for 4-5 hours. 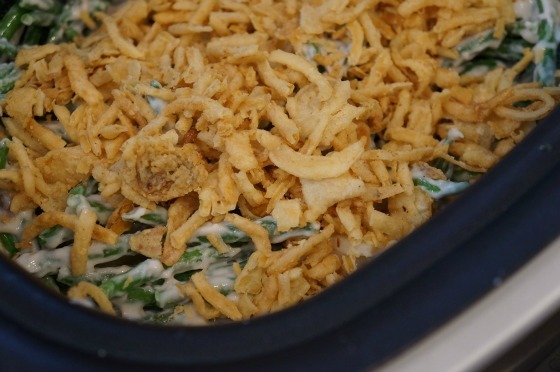 When it was done and ready to be served, we added the remaining french fried onions of top. Viola! 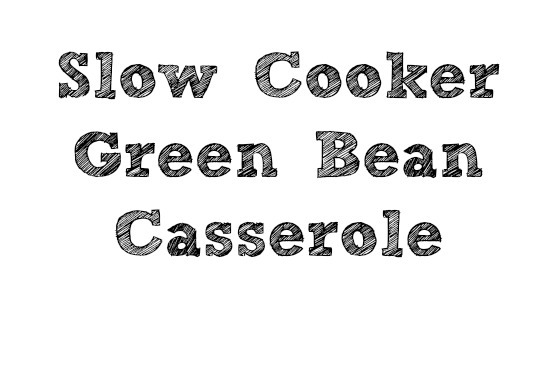 Make sure and bookmark this super easy recipe for your next turkey dinner! 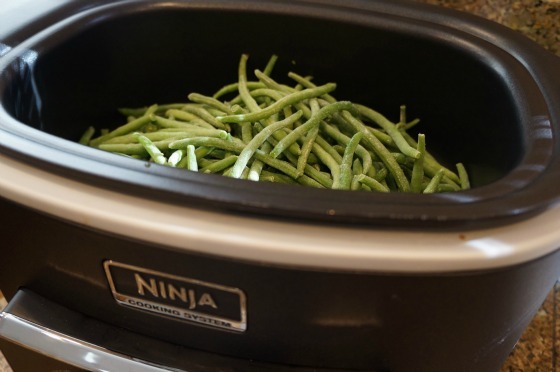 Disclosure: We were provided with a complimentary Ninja cooking system. All my photos, thoughts and opinions are of my own. I love this recipe, but as a person who suffers from cancer, I must strongly advise you to be careful with cans of stuff. There are soooooo many chemicals added to make the shelf life longer and our lives shorter. Have you checked the ingredients on the cans and other packaging. I would love to make this with fresh veggies. Good luck.